Barrel of WTI fell during the Monday trading but at the same time, futures for gasoline soared to a maximum since July 2015 after energy markets assessed the impact of hurricane Harvey, which struck the US coast of the Gulf of Mexico. Western investment funds sharply increased their bets on oil growth. For a week, the volume of long positions in crude oil has increased by $2.1 billion. According to the Commission on Trade in Commodity Futures for the week from July 25 to August 1, hedge funds bought 42.5 thousand long contracts in their portfolios and sold 1.4 thousand short contracts. Thus, the volume of their longs rose to 365.7 thousand contracts, and shorts fell to 83.4 thousand. Thus, the net long position on oil rose to 282.4 thousand contracts or to 13.8 billion dollars. Investment funds have been pessimistic on oil growth since April 2017. Since then, they either have been reducing longs, or did not commit any serious action. However, recent changes in portfolios have not led to significant changes in the oil market. During the same period prices of the black gold grew only by 1.2%. Amid this, I would like to note the actions of the largest bidders. 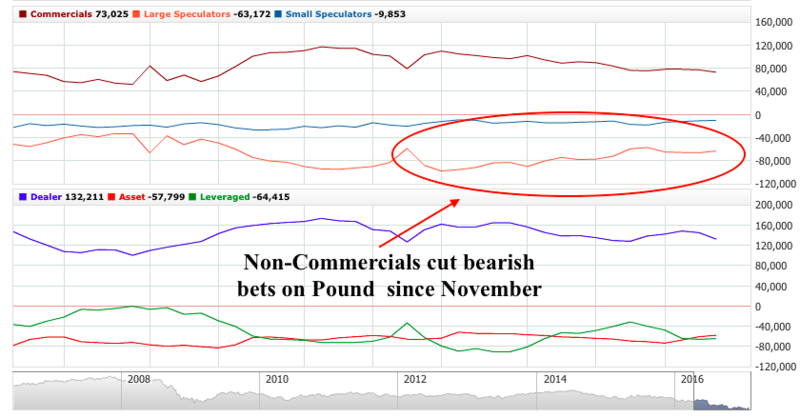 They, in turn, preferred to “short” oil. For example, the spread between the gross positions of top-4 traders increased sharply, and in favor of short contracts. 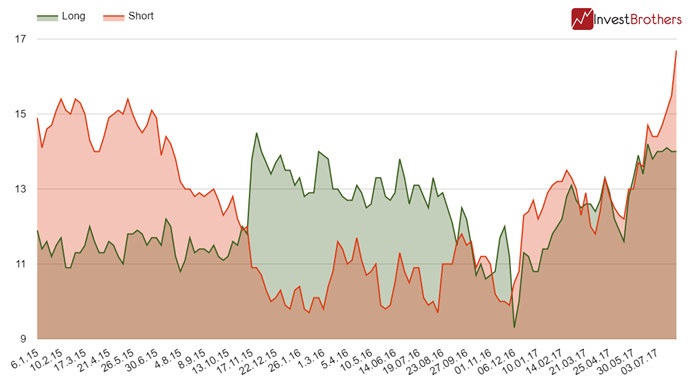 As of August 1, the difference between shorts and longs jumped to 2.7 percentage points, while just a week ago it was equal to 1.5 percentage points. The last time the largest participants of the New York Mercantile Exchange made such sharp movements in November 2015, just a few months before the turn in the oil market. In our opinion, hedge funds can throw “black gold” even higher, but if their actions will go against the actions of the largest traders, then it is quite possible that after the upward movement a serious price collapse will occur. Subscribe to our fresh telegram channel to receive market insights and trade signals everyday. 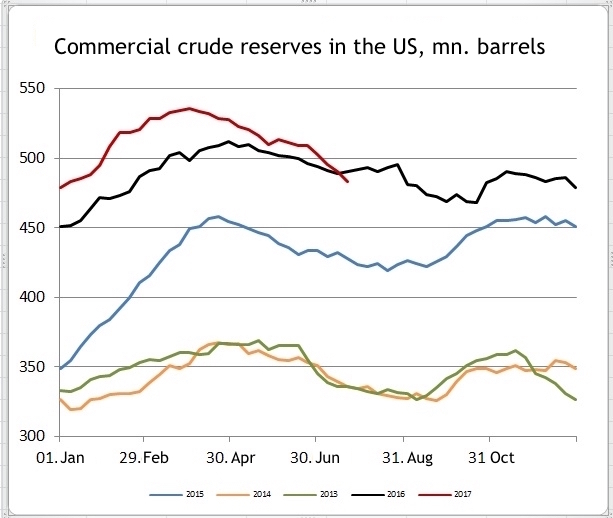 According to EIA weekly report for the week ending July 21, 2017, commercial oil reserves in the US fell by 7.208 mb (to 483.415 from 490.623 a week earlier). As we can see, decrease in inventories continued and even accelerated. 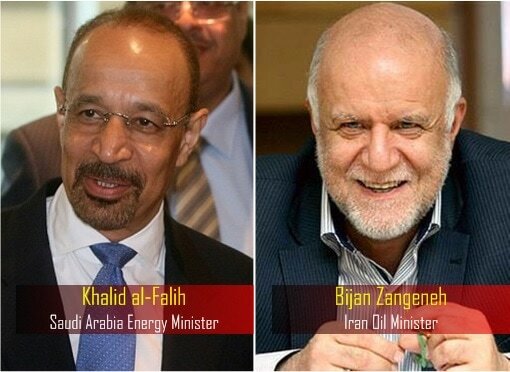 At this time, the estimates of both the American Petroleum Institute (API) and experts’ forecasts for the past week on oil reserves turned out to be true in sign. According to API version for the week before July 21, crude oil reserves decreased by 10.2mb (gasoline reserves: +1.9 mb, reserves in Cushing: -2.57 mb, stocks of distillates: -0.111 mb). Experts polled by Bloomberg were less categorical. 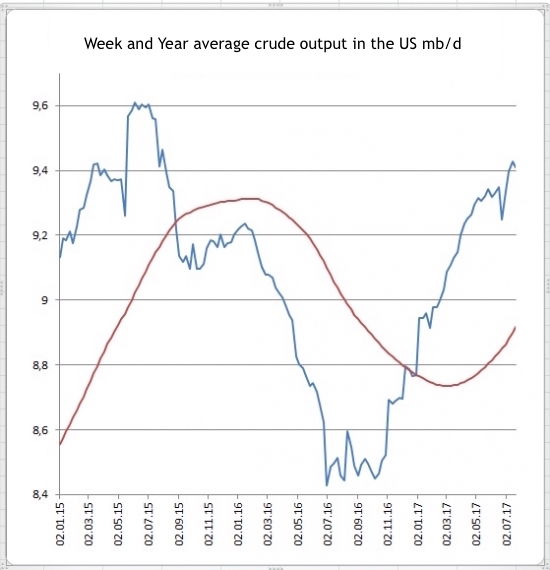 In their view, the decline in oil reserves in the US for the week should have been 3 mb. According to EIA estimates, the average daily production for the week ended July 21 fell 19,000 barrels per day (to 9,410 from 9,429 mb / d a week earlier). The trend to increase production gave a new small failure. This time, the decline in production was due to a decrease of 54 thousand barrels of production in Alaska. In other states, production growth continued. In the foreign exchange market trends often begin before the main reason for the rally appears, not as a sequence of it. 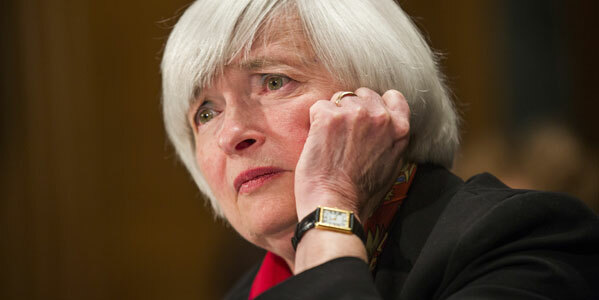 That is why at the end of 2013, a large-scale dollar rally began, as the Fed announced its readiness to reduce stimulus. By the way, it happened at the summer conference in Jackson Hole, which this year will see the head of ECB Mario Draghi as a guest. Examples include the Japanese yen collapse as soon as Abe announced his policy of “three arrows”, although six month were remaining before the launch of QE (quantitative easing) from the Bank of Japan. Similarly, it’s the case for euro: it is enough the intention of the European Central Bank to change the policy, and the major players will proceed to step-by-step long positions that can cause a significant rise of the euro in subsequent years. Since the ECB adheres to inflation targeting quite rigidly, and the trade and budget balance has long been in favor of the euro, discipline in monetary policy can turn into a new long-term trend of strengthening the euro. 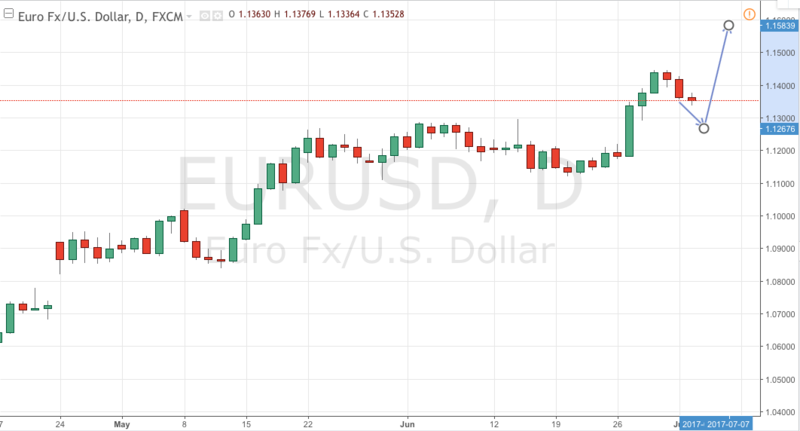 The pair EURUSD crossed through the resistance level of 1.15, first time since the end of 2014, the battlefield seemed to be void as it stabilized near 1.1530 level ahead of the ECB event on Thursday. The the pair may face a rebound during a test of 1.16 while the scale of retracement will depend on whether ECB head will appreciate economic changes considering them sufficient to spur inflation or dismiss them stressing on the necessity of QE to bring inflation on sustainable track. 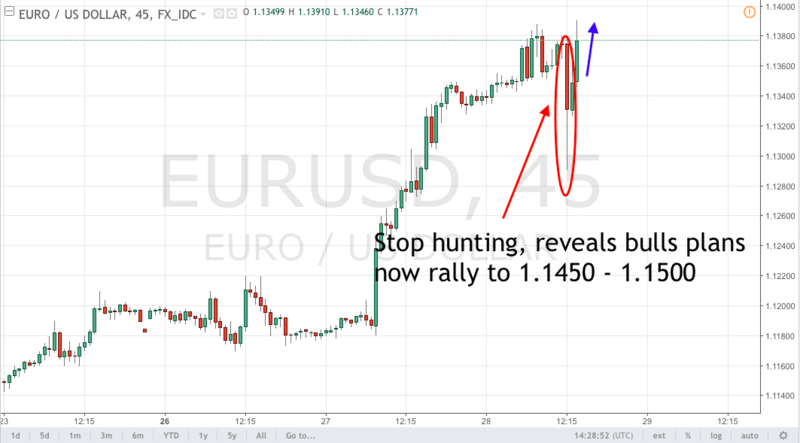 The pullback on EURUSD seems imminent to me, the only problem is to find the right point of entry. Picking round number appears to be a good idea but waiting for Draghi is necessary to go with guaranteed catalyst for the moves. Pre-event trading appears to be most manageable episode for me as investors are trying to second-guess exposing themselves much and causing erratic moves on the pair. Clearly they expect Draghi to be bullish but part of investors will close their positions before the ECB meeting what will cause a correction. US dollar expands rally against the euro in today’s Asian trading on upbeat economic data, which shore up investor optimism about the prospects for the US economy in the second half of 2017. The yen is strengthening against buck and euro due to the growing demand for have assets after the information about the next launch of the ballistic missile by North Korea. Media of the country reported that an important statement on the last launch of the ballistic missile will be distributed on Tuesday. Strong data on manufacturing activity in the United States for June improved investor sentiment towards the US economy. The dollar index fell 6% in the first half, which was the most significant decline since 2011, on fears of a slowdown in inflation and economic recovery in the US. The index of business activity in the manufacturing sector of the US (ISM Manufacturing) in June 2017 rose to 57.8 points from 54.9 points a month earlier, the Institute for Supply Management (ISM) said on Monday. 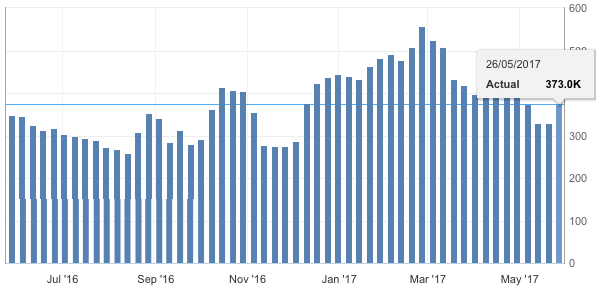 The indicator has become the highest since August 2014. The attention of traders this week is directed to the minutes of the June meeting of the Federal Open Market Committee (FOMC), during which it was decided to raise the rate for federal funds by 25 basis points – to 1-1.25% per annum . In addition, the market expects data on unemployment in the US for June, the publication of which is scheduled for July 7. 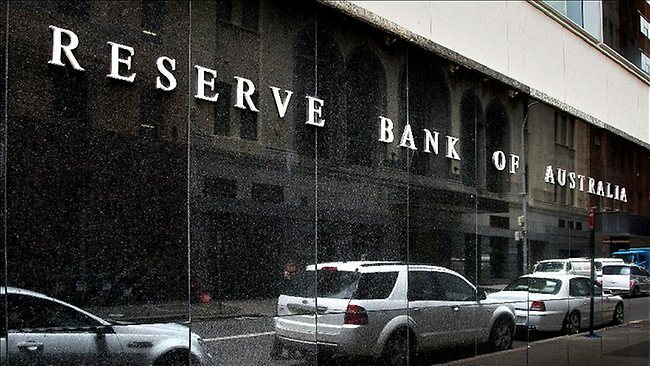 The Reserve Bank of Australia left the key rate unchanged at 1.5 percent following the meeting on Tuesday, as expected, given that regulator officials had previously signaled a stable outlook for most of the year. 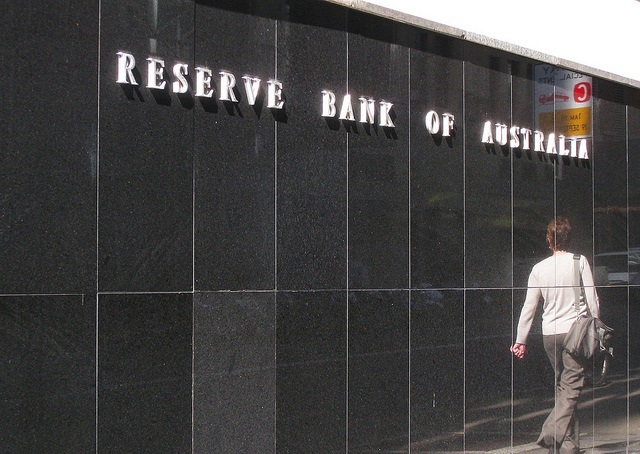 49 from 50 Reuters economists expected RBA wills stand pat with its monetary policy. 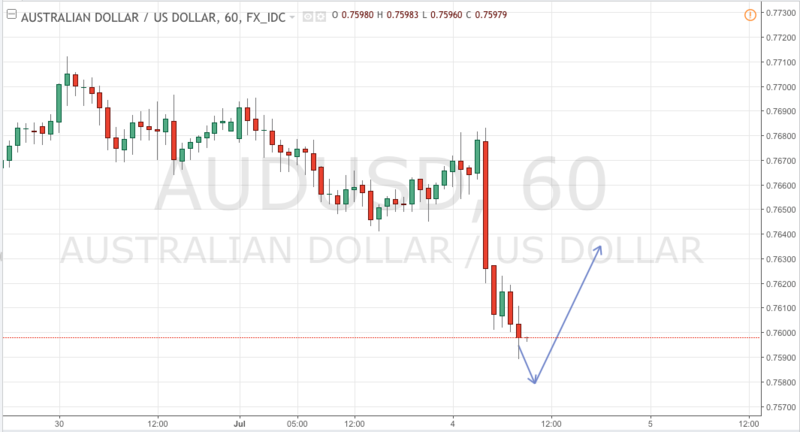 Market reaction suggests traders were disappointed from dovish stance of the bank amid bullish mood of global central bankers seeing global upturn which need to be supported with higher rates.Though strong AU economy will take its effect after all so its recommended to try longs on the pair. According to the forecasts of BMI Research analysts, the average price for the North Sea grade will be at the level of $54 per barrel in the second half of this year, and in 2018 will rise to $55 per barrel. The prices for the American benchmark will average $51 per barrel in the second half of 2017 and $52 per barrel in 2018, they added. The growth of oil production in countries that have not signed OPEC agreement, including the United States heats up the “bearish” sentiment in the market. The OPEC Oil cartel and several countries outside the organization agreed at the end of May to extend the production cutback by nine months until March 2018 to restore the balance of global supply and demand. In overall oil prices still lack solid catalysts for growth, so its advised to hold up with purchases. As ECB chairman Draghi expressed utter contentment with the economy performance markets took it a a signal for building bullish positions on euro. Relief rally reeled into markets as a few weeks ago, Draghi’s tone was completely different – the head of the central bank was cautious in economic outlook and said that the stimulus needs to be maintained in order to support growth. Draghi also spoke about inflation, which is not yet reaching the target level. He noted that consumer inflation will remain low for some time, although its growth is obvious and sustainable. Recently, the pressure on the ECB has increased – the markets believe that the European regulator should tighten monetary policy, especially since the Fed has already lifted interest rate twice this year. The main obstacles to the normalization of ECB policy are rather modest economic growth and political uncertainty. Now, especially after the election in France of E. Macron, these factors have somewhat receded into the background. 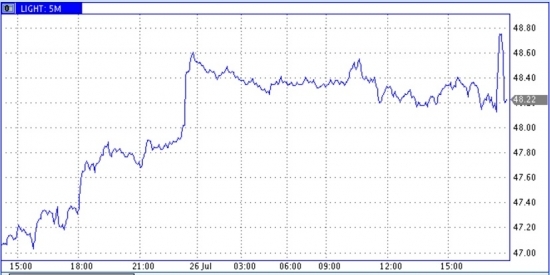 Yesterday, the EUR / USD pair crossed 1.1300 for the first time in nine months. Today the pair battle to cross through the 1.14 level The head of the ECB expressed optimism about the future of the eurozone economy, noting the obvious recovery, and said that monetary policy should adapt to this recovery. This statement sounded tough for some investors, although we do not think so. Mario Draghi did not express himself directly about the tightening of the policy, but only mentioned the “adjustment of the parameters.” Markets interpreted these words as a hint of further tightening of monetary policy. We believe that the ECB, on the contrary, does not rule out the possibility of continuing a super-soft monetary policy. Bond yields plunge while Fed tightens M supply – what’s happening? This has a profound explanation, though. The path for decline has been set after the release of lackluster inflation figures, which showed consumer prices slowed growth to 1.9% in May from 2.2% in April. Retail sales hit off the mark as well, decreasing 0.3% in May. 5-year forward rates, one of Fed’s gauges for inflation expectations has been remaining on the downward path from the end of March, shrinking from 2.2% to 1.8% in May. Bond price is negatively correlated with inflation as it basically expresses the pace of depreciation of the bond value in time. Weaker inflation projections released in the US spurred demand for treasuries and as a market factor it outpaced negative impact from the monetary tightening expectations. Declining yields may be a signal of rising concerns that further Fed policy tightening may derail sustainable inflation pickup in the US. Further data on consumer inflation and expenditures are crucial to evaluate the impact of July rate increase while greenback have a room for further growth as it reacts straight to the anticipations of shrinking money supply. Oil prices went into selloff on Monday as traders expect that commercial reserves in the US will shown an increase last week. WTI advanced to $45.00 but later fell sharply, finding support of 44.30 level. Next target for oil is $40, because there are no significant catalysts for growth the commodity could avail of. Russian ruble advanced and show signs of growing uncertainty among carry traders on Dollar gains, declining oil and rate cut by Russian Central bank which plans to extend easing on next meetings. 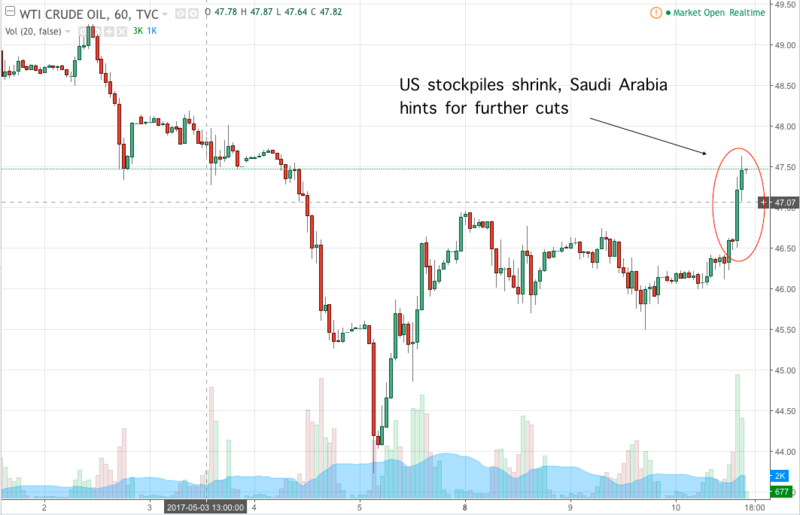 Oil market is in desperate state: US producers keeping ramping up production while Middle East swept in political woes greatly undermining rebalance outlook. Prices plummeted 5% as EIA busted hopes that commercial stockpiles shrunk in the US, reporting an increase by 3.3M barrels. The forecast was a decline by 3.464. Prices demand more action from oil producers which are acting increasingly out of synch since coordinated action is impossible due to looming political crisis. Oil market may remain sensitive to the OPEC efforts to stop the rout by verbal interventions, while medium term outlook remain bearish as hedge funds may withdraw from bullish positions they have recently built up. Net position on oil hasn’t changed according to CFTC, as in the week ending in July 2 speculators added only 800 contracts to 373.8K contracts. Prices are expected to extend plunge with short-term target at 44.50 level. I have some feeling that Pound prepares for a big jump as it demonstrates quite resilient reaction despite rumors that lead narrows between Conservatives and Labour party. Latest poll showed May runs ahead of competitors by only 1% while Pound remains stable near 1.2900 level. Elections are due on June 8 and May is expected to gain enough seats in parliament to push through her key Brexit initiatives. 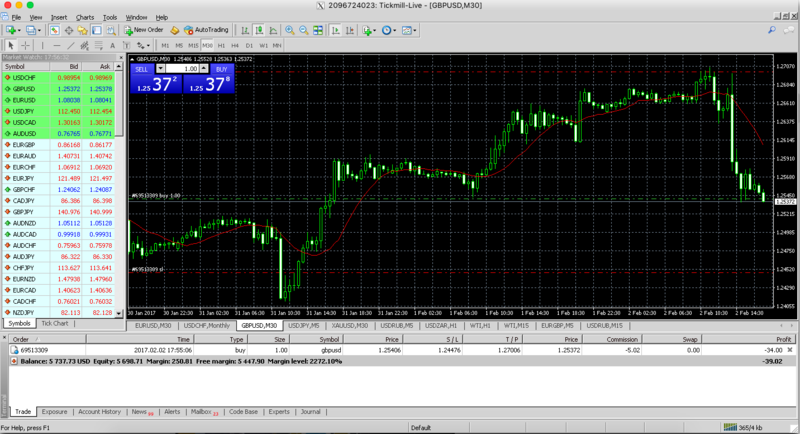 Trading target for GBPUSD is 1.31 level. Tomorrow is ECB meeting and Draghi will probably start to drop some hints on exit policy timeframe. Underlying inflation in the Eurozone remains below the target but sustainably increasing while business and consumer sentiments improve, reports show. I expect that on the briefing Draghi will mention the need to withdraw from low rates and swelled balance sheet triggering Euro advance. Trading recommendation for Euro is BUY with target at 1.1350 level. Net positions soared from 329K to 373K indicating a spate of bids on the recovery of oil market. Friday gold moves suggest that a rout from risk has been curbed and risk appetite increases again. Investors take the profit from the upsurge in the middle of the week amid political instability in Washington. Demand for defensive assets has risen sharply since it has been known that US President Donald Trump asked former FBI director James Comey to suspend an investigation into Russia’s relations with Russia’s national security adviser Michael Flynn. On Wednesday, the US Department of Justice appointed Robert Mueller as a special adviser who would monitor the investigation of Russia’s alleged interference in the US presidential election campaign in 2016.
currencies, declined by 0.15% to 97.62, approaching the six-month low of Thursday’s 97.28. 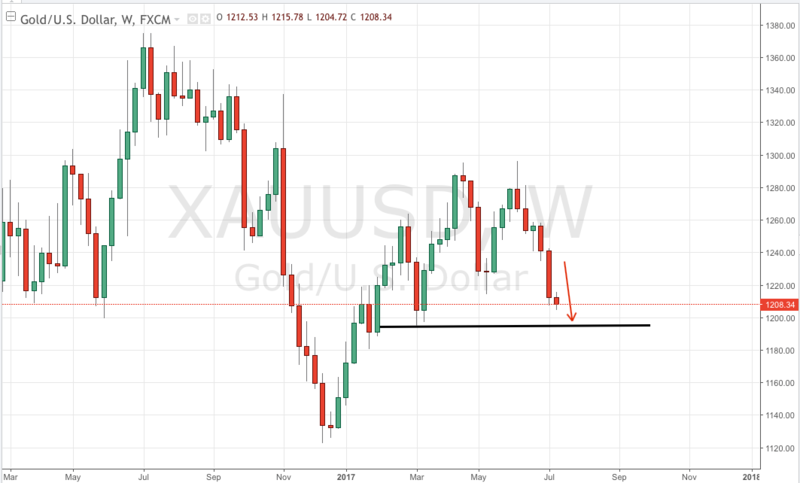 Dollar weakness usually leads to an upturn in gold prices, which is considered as an alternative asset, and makes the dollar’s commodity prices cheaper for holders of other currencies. The end of the two-day meeting of the OPEC Economic Commission was scheduled for Thursday, but will end only on Friday evening after the planned talks with non-OPEC countries, Reuters writes. 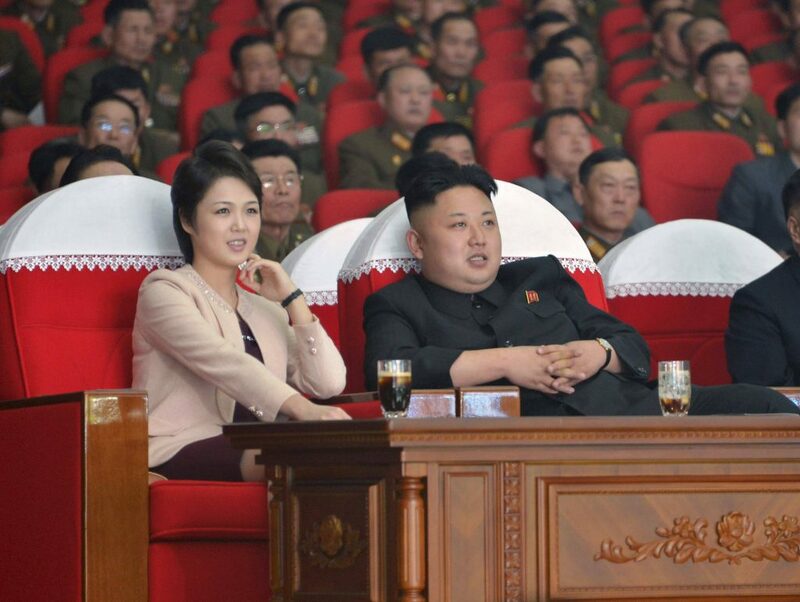 “We have not yet agreed on the final scenarios,” one source said. According to the latest information, Saudi Arabia and Russia are in favor of extending the agreement for another nine months, but this decision should still be approved by the other parties to the agreement at May 25 meeting. The day before, the Saudi side expressed its readiness to act as the coordinator for the OPEC + deal and, more importantly, to compensate at its own expense possible violations of other participants. Brent crude oil has risen in price by 1%, the price has already exceeded $53 per barrel. The cost of oil grade WTI climbed to $50 per barrel. 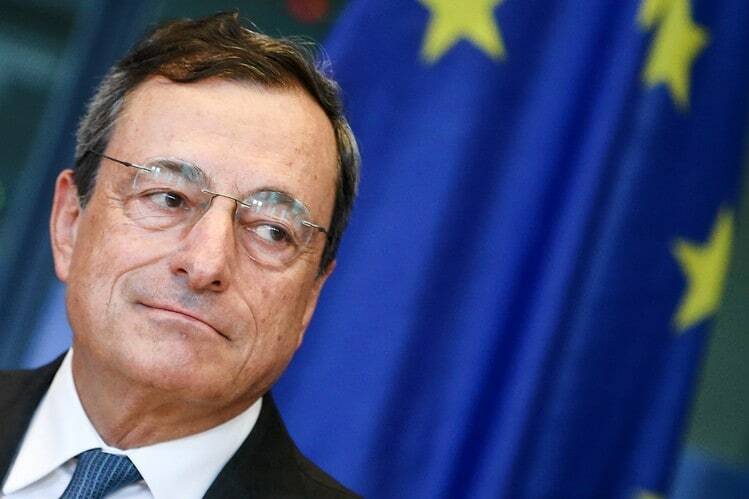 It is too early for the ECB to declare a victory in the battle for accelerated prices growth in the eurozone, despite compelling indications of a more sustainable economic pickup of the block, ECB President Mario Draghi stated on Wednesday. Draghi words confirm he tends to stick to deliberate path of raising rates and gradual cleaning of 2.3B euro balance sheet, despite the pressure from wealthy part of EU, particularly the Netherlands and Germany. It is expected that in June the ECB will slightly change the language, reflecting the improvement of the economic situation, but will stand pat on monetary policy. Draghi noted that the ECB has no plans to change the terms of QE in order to avoid the risk of losing the opportunity to buy sovereign debt of some countries due to their shortage, despite the calls for tapering off from the management officials. Draghi said that the advantages of ECB monetary incentives outweigh the drawbacks, but expressed concerns over the rise in property prices and high level of household debt in a number of countries. Oil futures surged on Wednesday during american session to an intraday high after surprising cutback of oil reserves in US, as EIA report showed. 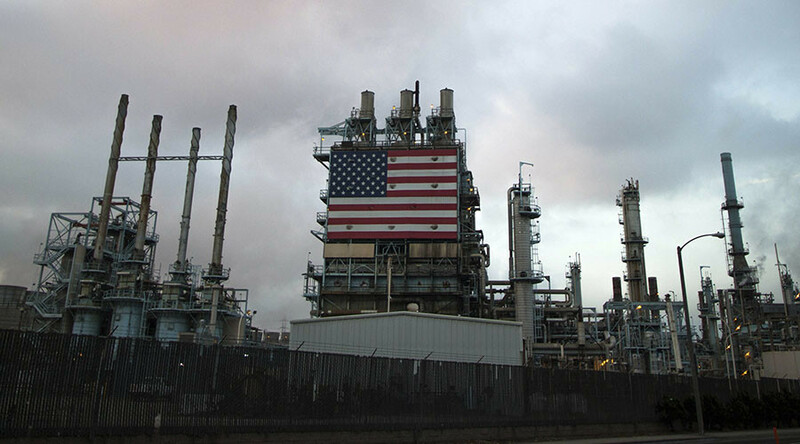 The weekly report from the Energy Information Administration of the US Energy Ministry (EIA) reported that US crude inventories fell 5.2 million barrels per week ending May 5. Market analysts expected a decline in crude oil reserves of about 1.8 million barrels, but on Tuesday API anticipated a 5.8 million barrel drop in inventories, quite close to the EIA estimate. On Tuesday, WTI benchmark fell by $0.55 amid fears that the surge in output of US shale producers neutralize the efforts of other producers figuring out a balancing act to bring oil market to the equilibrium. In recent weeks, oil prices have remained under pressure amid fears of an increase in US oil production, which has shaken investors’ confidence that OPEC is able to restore balance in the market. Although according to sources familiar with the matter, OPEC countries and outside OPEC are discussing the possibility of extending the agreement to prolong production cuts for another six months to balance the situation on the market. Trump signs budget bill, dollar sinks despite solid NFP data. 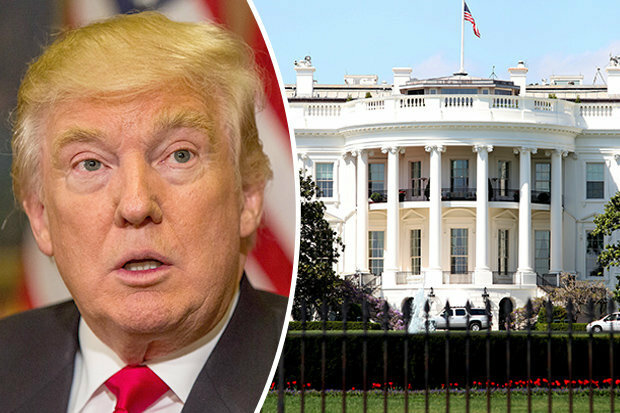 Earlier on Friday, D. Trump signed a law on the financing of the federal government until September 30, 2017. Earlier, this law was approved by the House of Representatives and the US Senate. The total US budget for the current fiscal year, which ends on September 30, is $ 1.1 trillion. Bank of England, Federal Reserve are yet not ready to fade into the background, preferring to stay active for a while. Both stood on hold on rate and QE decisions. I’m going to break down BoE meeting with a trade on Pound you can read below. So BoE made some remarks on surprises ahead related to Brexit and that the Bank will respond accordingly to them. Clearly no attempts to run ahead of themselves and setting policy in advance, rather reaction to what is happening. This “Data-Dependency” means that analyzing incoming economic data thoroughly can give you an edge at second-guessing BoE policy steps. According to Carney, “If we do see a situation where there is faster growth and wages than we anticipated or spending doesn’t decelerate later in the year, one can anticipate there would be an adjustment of interest rates” confirming our assumption. Clearly UK economy gained strong underlying growth momentum and if Brexit prepares no serious jolts for the country, incoming economic data is not expected to lag behind its current projections. Fresh BoE statement on outlook contained a jump in GDP forecast to 2.0% from 1.4%, prices growth expected to accelerate to 2.7% in Q4, far higher of 2% target. An unpredictable distress around US Dollar created by Trump critics of “strong currency” also removes a part of headwinds for sterling growth. With Fed staying on hold bearish tone on Dollar expected to gain some traction. From the both sides the way up is open for British currency. 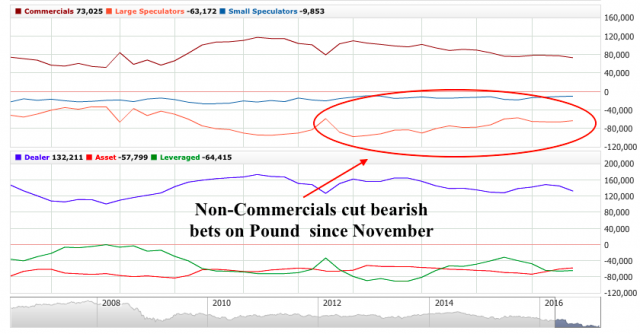 A Number of bearish wagers on Pound has been consistently contracting since November 2016 what I see as a confirmation of my view. A zone of 1.25-1.2550 looks like a great stage to rocket higher and I’m going to give it a try with small one lot trade. Target is somewhere near 1.27 level, Losses capped at 1.24200 area. Long story short: Carney gives green light, buy Pound! Fight with a recession and spur consumer spending – these two efforts Bank of Japan has been desperately applying with very mild signs of success. After switching to targeting bond yield curve in September – quite weird move in my opinion, inflation and consumer spending has continued to miss on the downside showing extraordinary measures don’t work. And its quite logical – long-term yield curve is a kind of market-based outlook on inflation and trying to adjust yield curves is not working on an actual problem, rather at its consequence. Of course, yield curve on 10Yr bond yield has been rising since October but it can the BoJ on the supply selling them to keep yields like it shows everything is good with Japanese economy. But on the fundamental side, December Retail trade and large retail sales missed projections ( 0.6% vs. 1.7% exp., -1.3% vs. -1.0% exp.) data showed today signaling BOJ has no other options but to maintain asset-purchase program at current levels (80B Yen/month). Signs of economy pickup seen in last three months may be also attributed, as said ECB Draghi, to rising oil prices while underlying trend hasn’t changed. It is an important cue that allows as to anticipate extended stimulus from BoJ and thus increased bearish pressure on Yen. I’m buying USD/JPY from 113.60 after today’s drop as expect that Kuroda will stick to the same stimulus size what will be a perfect handle for Yen bears to ramp up pressure. US Data Digest Before the FED. 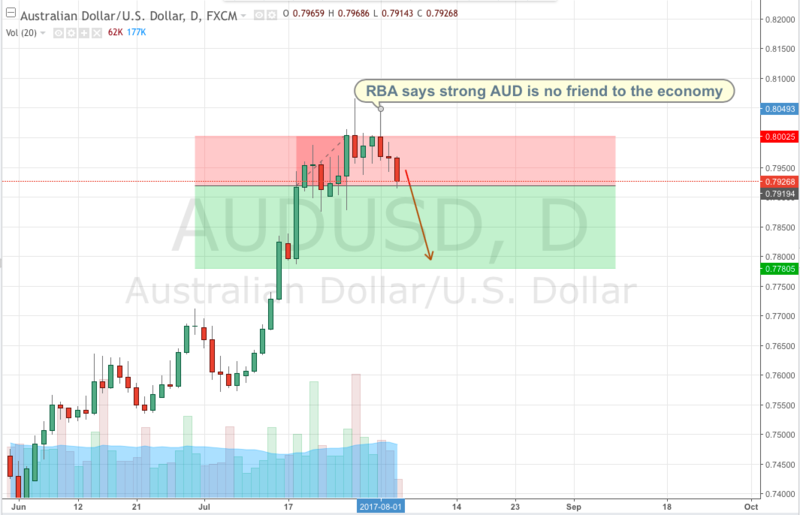 Does Dollar Prepare For a Jump? We got a nice piece of data on US economy so lets discuss it. At first, Q4 GDP and Confidence data topped estimates.That’s a great news because America should meet Trump strong to let undergo his adventures 🙂 Breaking down GDP by the components, exports fell 4.3 percent which I attribute to the sharp post-election rally of US Dollar while imports surged 8.3 percent. I doubt the upsurge in imports can be referred to pickup in consumption rather reflection of fears of local businesses on potential trade wars which pile up their inventories ;). CFTC data draws bullish outlook for the greenback as net position doubled to 72.9K in the last week comparing to the week before (35.3K). 2.Big fiscal spending ahead during Trump administration. Looking forward to you feedback or suggestions! So last week was mixed in earnings. Actually it was all ECB Draghi +Trump week. The focus was whether the head of European Bank will drop some clues on halting stimulus, which currently stays at 80B Euro/month bond-buying program plus 0% interest rate. And it did have its results, I would say. Consumer Inflation in the Eurozone gained traction in November-December period of last month (1.1% average across EU, 1.7% YoY in Germany – EU economic leader). Particularly because the extensive help to corporate sector in the EU, offering them cheap money at 0% interest rate, there are a signs of economic revival which many economists saw as a handle for Draghi to start gradually reducing support. But unfortunately Draghi found another reason for inflation pickup – rise in oil prices which gave boost to EU economy while underlying trend remained weak. 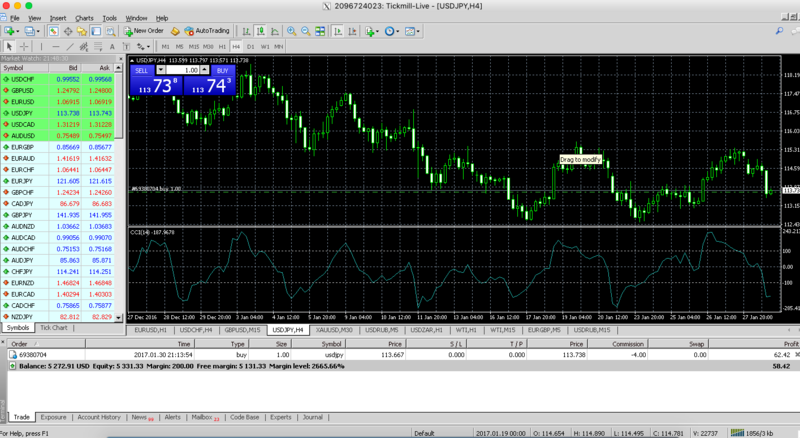 Euro trade was closed by SL but another opportunity came way. Guess what was it? Of course Trump inauguration! My general projection was selling Dollar as nobody knows what’s in the Trump’s head and how many surprises he prepared for us. The same is for large investors who hates any uncertainty. Moreover his ambitious projects on breaking trading ties is a BIG trading risk which can not work as a general stimulus for markets, only for special stock sectors which can benefit from his protectionist measures. After getting Monday confirmation I hopped in with BUY bet on GBPUSD near 1.2450 with target around 1.2490 and it worked as a charm. Dollar decline should be extended. I will wait for the pullback of USD index from 100 area to 100.20-100.50 but general direction remains SELL. 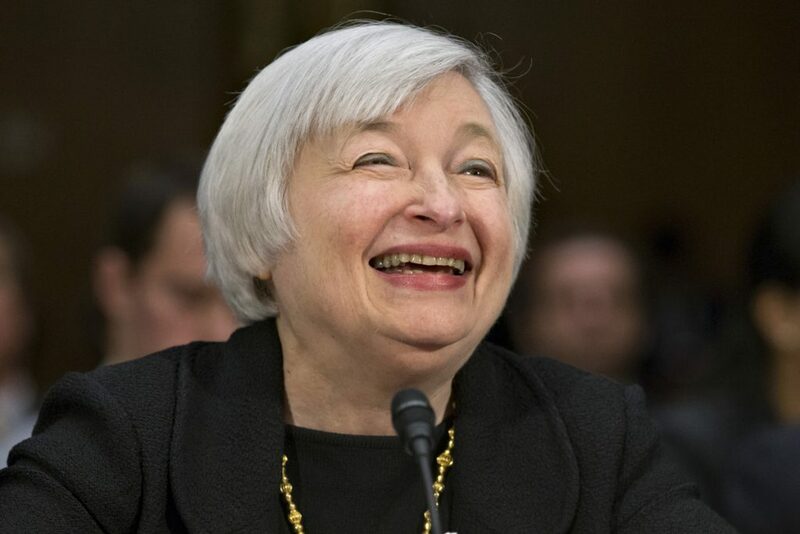 Expecting some sweeping moves from FED is also unreasonable as Yellen said during her two recent speeches that hikes will be GRADUAL. It basically means there may be one rate hike as it was in previous year. Or even no one. Trump “America first” motto is not necessarily beneficial for US economy as cutting trade ties also means cutting the total pie of global economy and consequences are really unpredictable. BUY GBPUSD from 1.2410, Target 1.26 level. That’s it for now. Looking forward to you comments or suggestions.